It’s estimated that approximately 80% of people will experience lower back pain at some point in their lives. In fact, lower back pain so common that it’s the leading reason for missed work in the United States. At Renova Medical Center we have a number of treatments that can help you move about freely again, without pain. If you’re in Columbia, Missouri, call or book an appointment online. What constitutes the low back? Each of these works in concert to support your upper body, to provide you with mobility, and to provide a passageway for your nervous system to other parts of your body. In other words, your lower back is incredibly hard working and, because of this, it’s also susceptible to injury or disease. How is lower back pain diagnosed and treated? 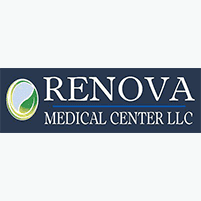 During your first visit at Renova Medical Center, the first order of business is getting to the bottom of your pain. To do this, we perform a physical exam and uses imaging technology to get a glimpse of what’s going on inside, which includes X-rays. Vibration therapy is a technique to stimulate your muscles in a relaxed position, lessening the strain and allowing the vibrations to do the work. By gently working your muscles, you increase your stability, taking the strain off your lower back. At the core of chiropractic care is the spine. To help your lower back pain, we gently manipulate your spine to correct misalignments that may be blocking your body’s natural resources from functioning properly. If the muscle in your back isn’t pulling its weight, the strain on your lower back can lead to pain. We show you exercises that strengthen your lower back and increase your stability and balance. If lower back pain is keeping you from enjoying your life, call Renova Medical Center, or schedule an appointment using the convenient online booking tool.